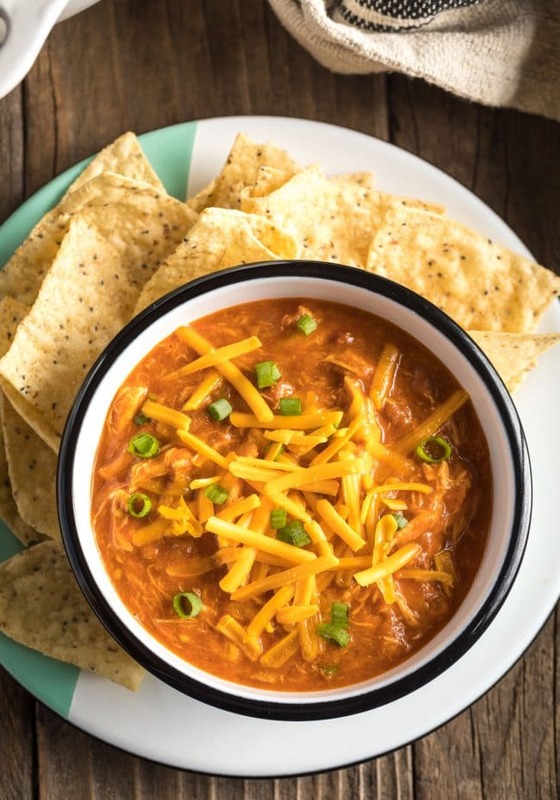 This lean 5-Ingredient Cheesy Chicken Chili Recipe is make with just chicken, beans, salsa, enchilada sauce, and cheese. It’s easy to make and even better to eat! Sometimes we get home from a satisfying day at work, find ourselves with a well-stocked refrigerator, and happen to be in the mood to cook. We pour a glass of wine and leisurely chop, sauté, and simmer, as we listening to mellow music and contemplate unique flavor combinations, or plating presentations. However… Other days we arrive home frazzled from hours of tedious tasks and shuffling kids around. We dig through the barren pantry, eye twitching, trying to find something to pull together for dinner, so we don’t have to waste money on takeout again. We are certainly not in the mood to cook. 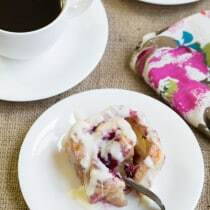 Yet if there was just something quick and cozy to serve the family, we’d conjure up the energy to make it. Even though I cook for a living, I still have days like this… Exhausted, moody, trying to keep it together for the sake of my family, and desperate for bed the moment I walk in the door. Yet my sense of duty forces me to head to the kitchen and feed the people I love. 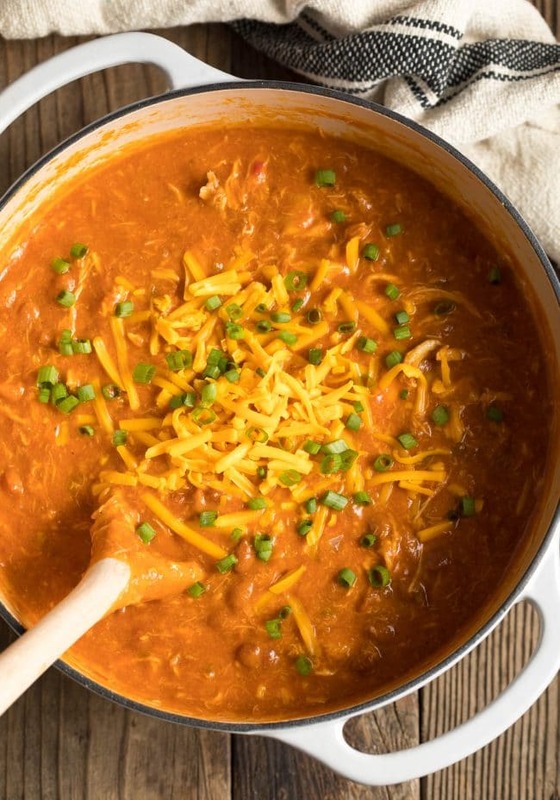 Today’s 5-Ingredient Cheesy Chicken Chili recipe is for these days… The rough ones. Even when you are running on fumes, you can pull this off and it will taste magically delicious. 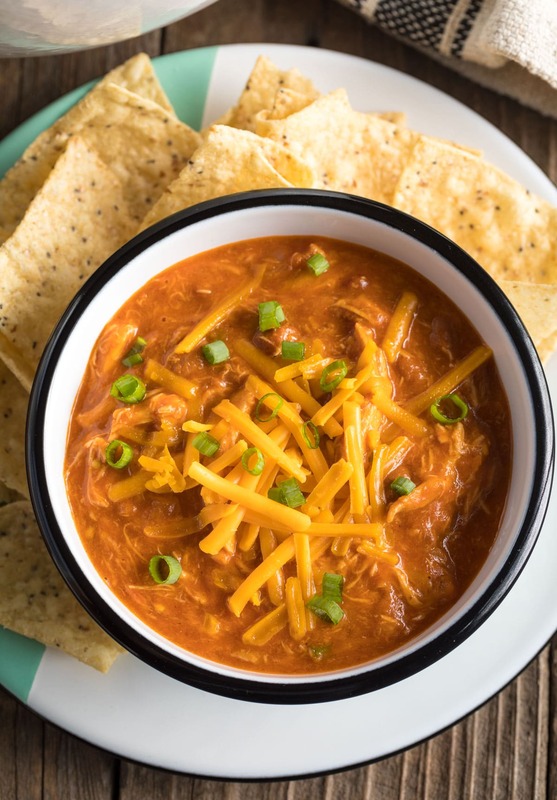 This simple chicken chili recipe is bold, zesty, packed with protein, and offers a rich cheesy base that is sure to please even your pickiest eater! Just stock your pantry with a few key items and you can make a quite healthy dinner your family will love. 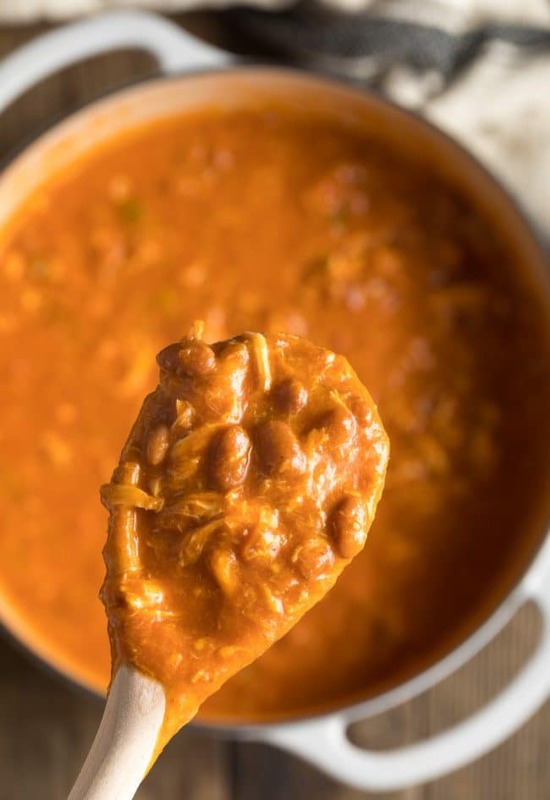 Canned chili beans – Don’t drain… Pour in the sauce for extra flavor! 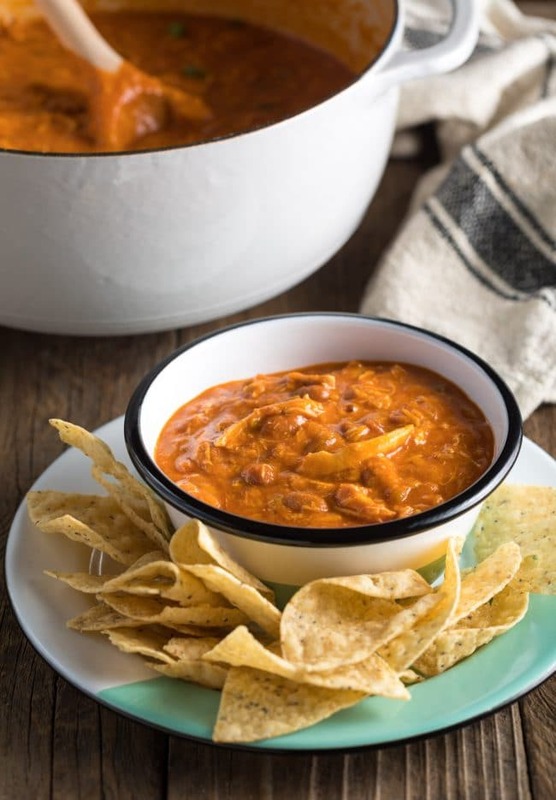 Chunky salsa – I always choose low sodium salsa, because all these ingredients contain salt. Canned enchilada sauce – A fabulous base for quickie soups and chilis. Leftover chicken – Chances are, you’ve got some in the back of your refrigerator right now. Cheddar cheese – For a tantalizing creamy finish. Shred the chicken… Or work out some of your built-up frustration by hacking it up with a cleaver. Throw all the ingredients in a pot. Take a deep breath and serve! Do I have to add the cheese? No, of course not. The chili will still taste delicious. It just won’t have the same silky cheesy quality. 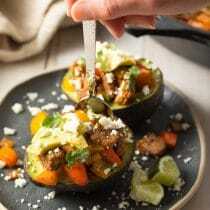 Can I use green enchilada sauce? Yes! The color will be more of a murky brown, but it will not effect the zesty flavor. What if I don’t have leftover chicken? You can grab a rotisseries chicken at the market on your way home, or swap out the chicken with ground beef. Absolutely! Thaw it as room temperature. Then warm on the stovetop when you are ready to serve. P.S. 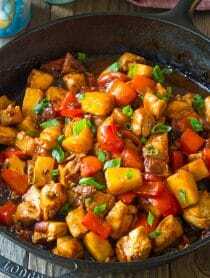 Although it’s easy to believe real cooking takes a lot of time and tons of fresh ingredients, there’s no shame in making quickie semi-homemade meals. Any cooking is better than no cooking. It shows your family you care about them, even when you’re physically and emotionally spent. Cooking at home saves money. It offers personalization and quality control. 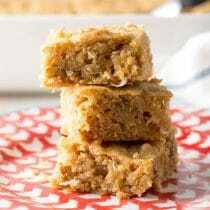 And simple recipes like this are great tools for training your kids how to cook. Let them take over dinner tonight! 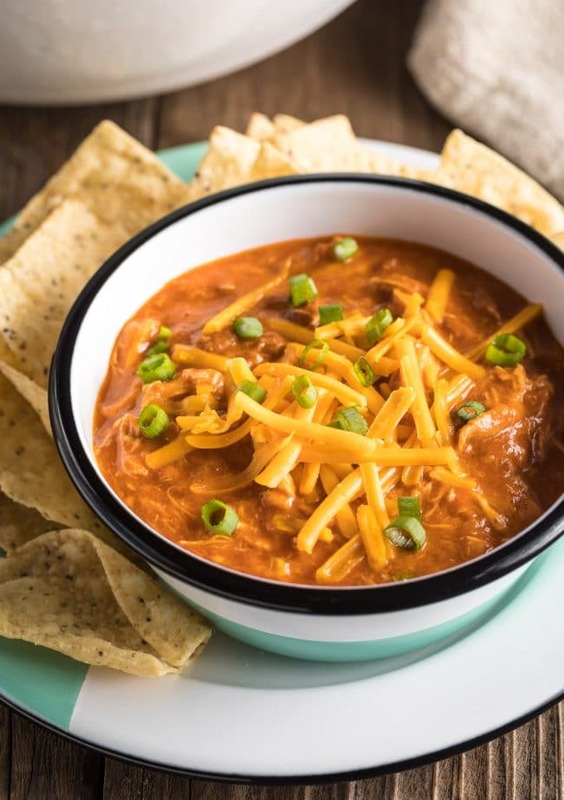 This lean 5-Ingredient Cheesy Chicken Chili Recipe is make with just chicken, beans, salsa, enchilada sauce, and cheese! 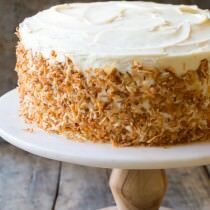 It's easy to make and even better to eat! 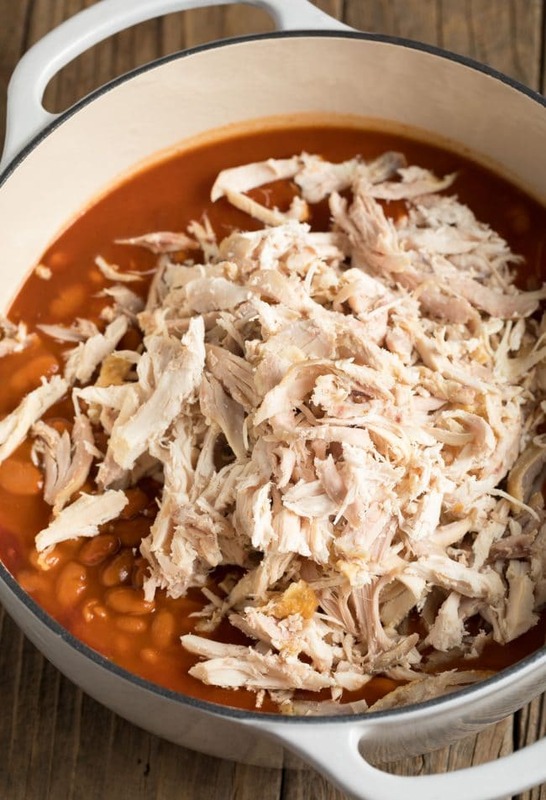 Shred the cooked chicken with 2 forks and measure out 3 cups worth. Set a large sauce pot over medium heat. Add the beans in their sauce, chunky salsa, red enchilada sauce, and shredded chicken. Add 1 cup water and stir well. Simmer for 20 minutes, stirring occasionally. Turn off the heat and stir in the shredded cheese. 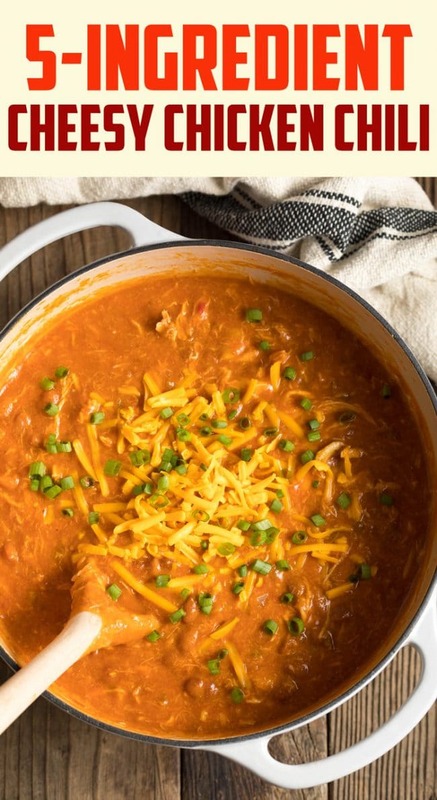 Once combined, ladle into bowls and serve with extra cheese and possibly chopped scallions. This video is sponsored by BUSH'S Beans. All opinions are our own. Start with cooked chicken. Either use up your leftovers, or buy a rotisserie chicken for this recipe. 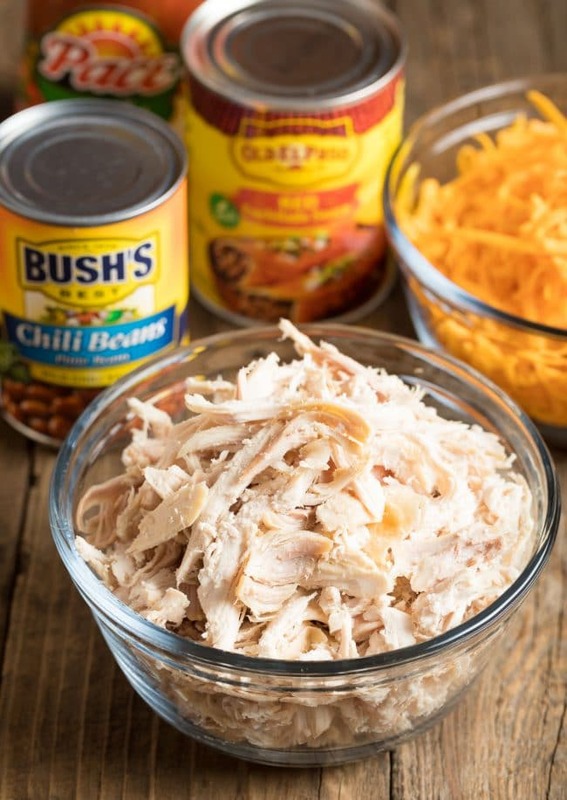 You can add raw chicken to the chili, but the pieces will need to be cooked whole in the chili for at least 15-20 minutes, then shredded. Then the chili will need to simmer another 10 minutes to season the chicken shreds well. 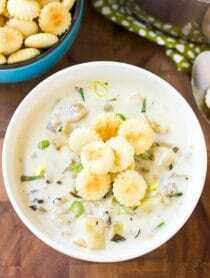 So rich and creamy perfect for our Superbowl eats! This was really amazing! My kids loved it! So yummy! 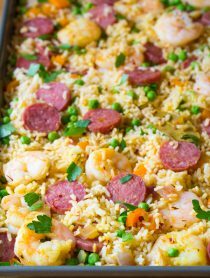 SO easy, flavorful and irresistible!